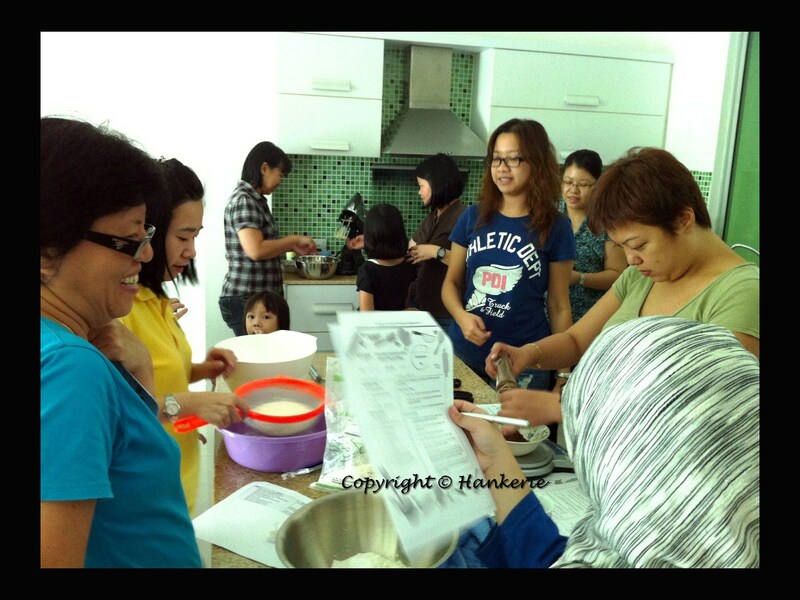 This is my long awaited session in my life - conducting one and only one baking class specially in Miri here (realization of my "Calling all the Baking Enthusiasts"). 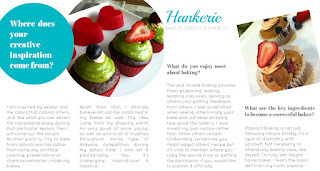 Sharing my baking passion, the secret of mastering the baking's basic to those who has the same interest, this is the best ever farewell gift before leaving Miri for good. 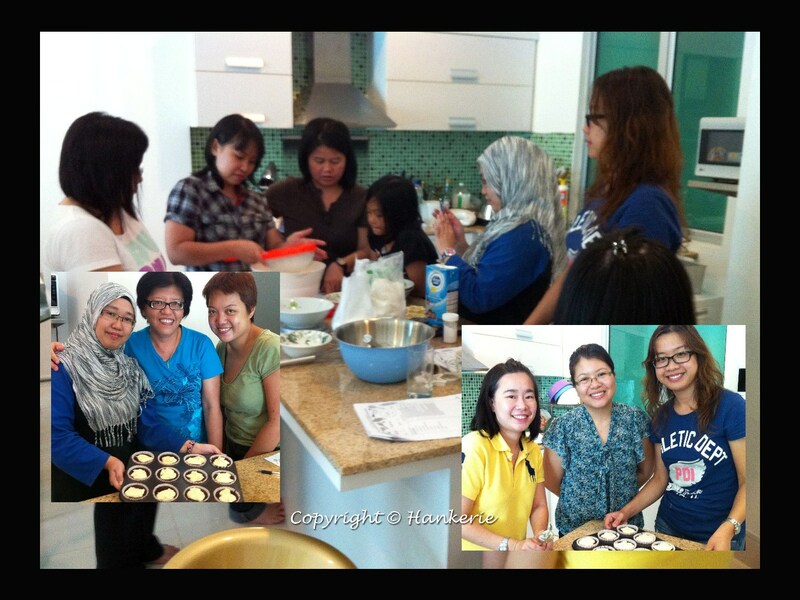 Undeniably, I can see those baking enthusiasm of all my students, even some of them are beginners. Of course, I hope this spirit can continues in them after I leave later. 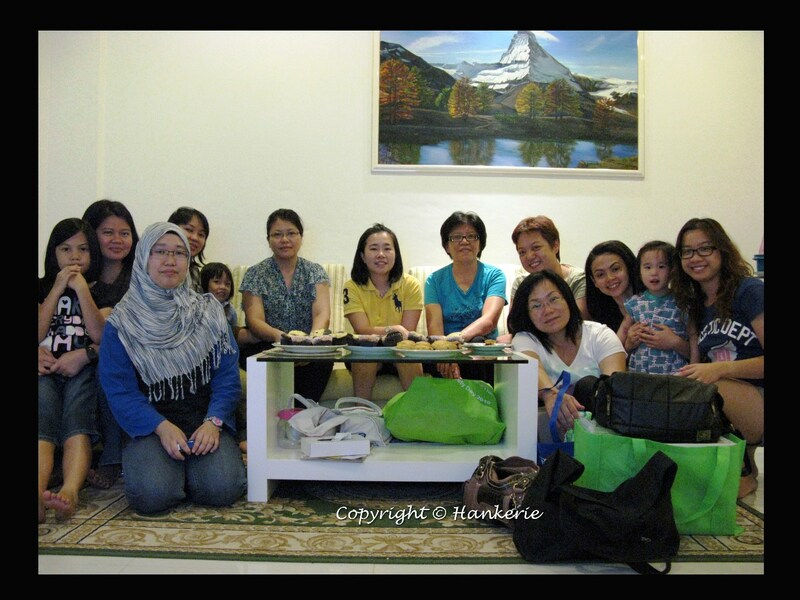 9th October was my only weekend to stay back at Miri after my Bario trip. Thank God that there is no delay of my flight back from Bario, else my baking class definitely cannot start on time. Before baking class starts, I've prepared all the required baking ingredients for all my students as well as my Hankerie's recipe. :) For me, I would prefer more interactive session, rather than I'm the one who only do the lecture all the time. See below for those happy moments throughout this half of the day's baking session. 1.) Everybody busying weighing their required raw materials. 2.) 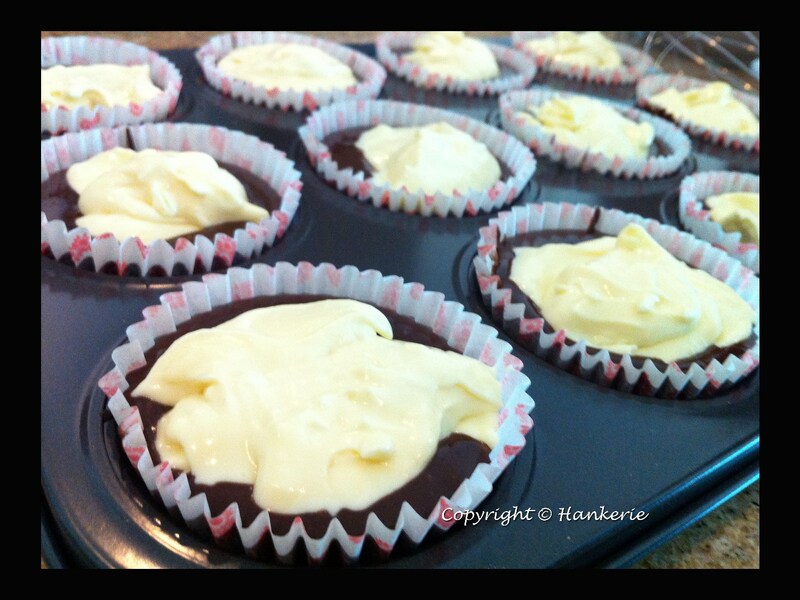 My 2nd session of chocolate cupcakes with cream cheese filling - before sending into oven. Split into 3 groups for this activity, seems like everybody so excited about that. 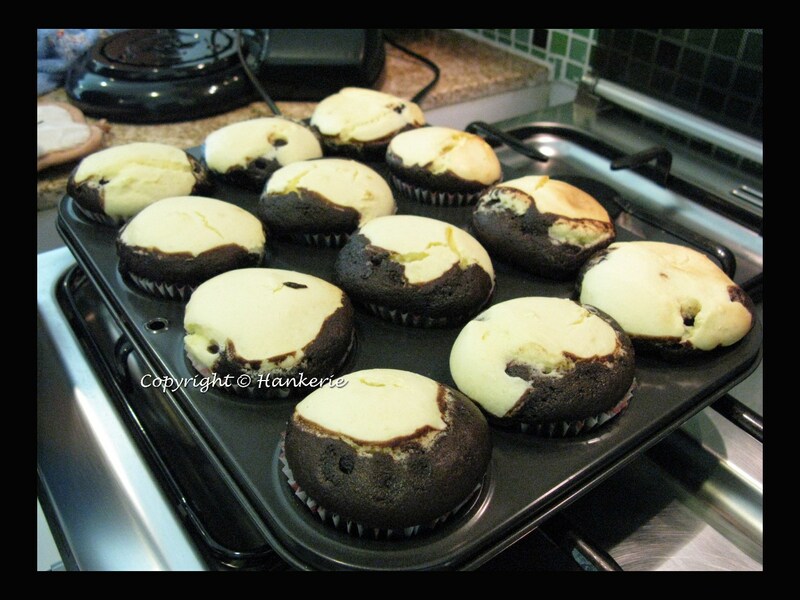 Definitely you cannot find this in any bakery shop!! 3.) After freshly baked from oven, this is our best high tea while serving it hot. 4.) Even the kids would love to learn together too!! 5.) 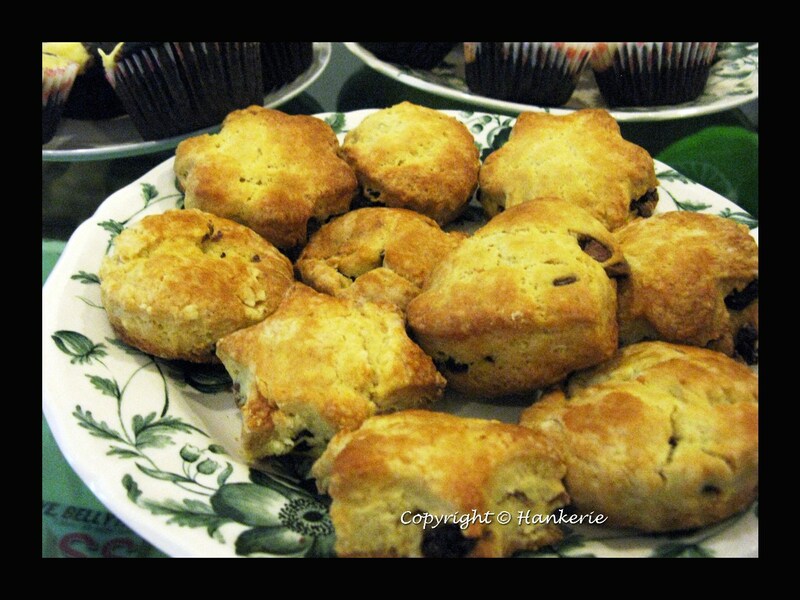 3rd Group activities - English Scone with raisin & chocolate. 6.) 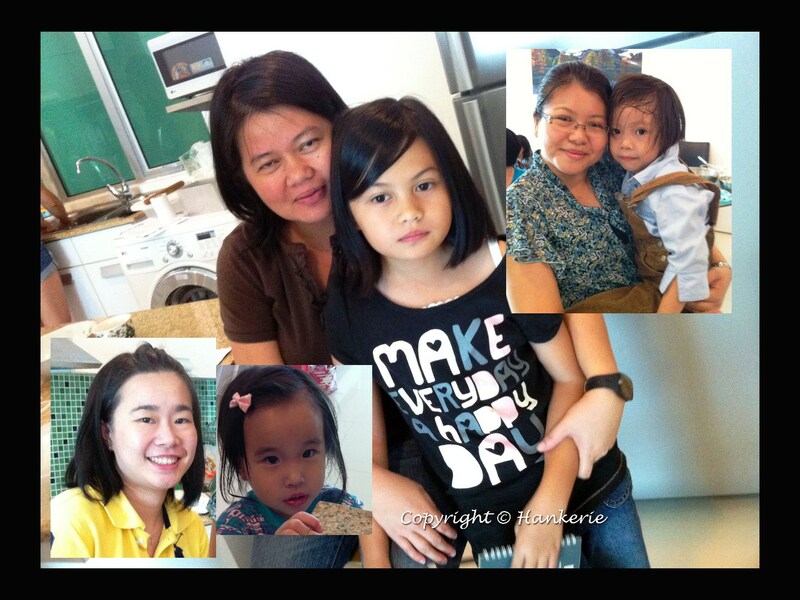 All lovely mums baked together with their sweetie. Such a wonderful moment to see that too. 7.) Taking the group photo with their own bakes. A successful achievement. 8.) 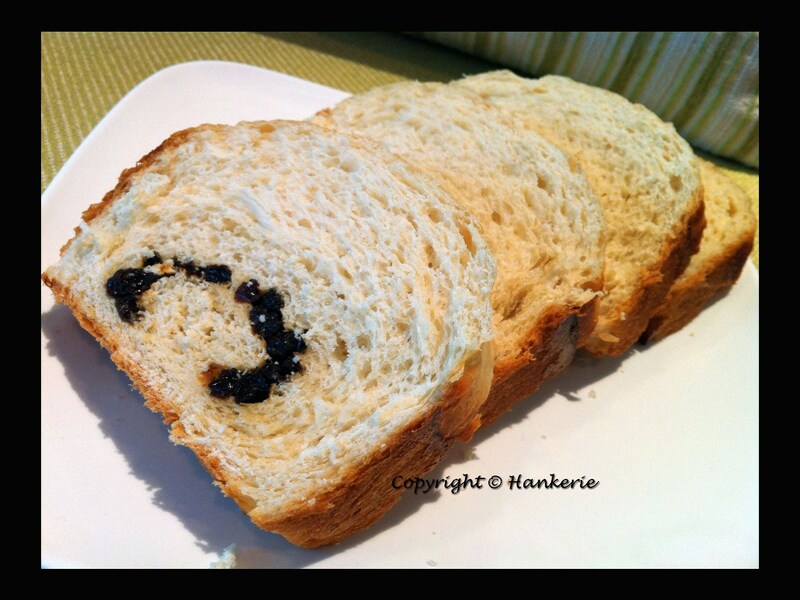 Demo session of Hokkaido Bread with raisin, too bad not enough time to bake it as the proofing time took more than the baking class hours. Brought it to office today for some of the students. Wow~! I'm sure everyone had fun. 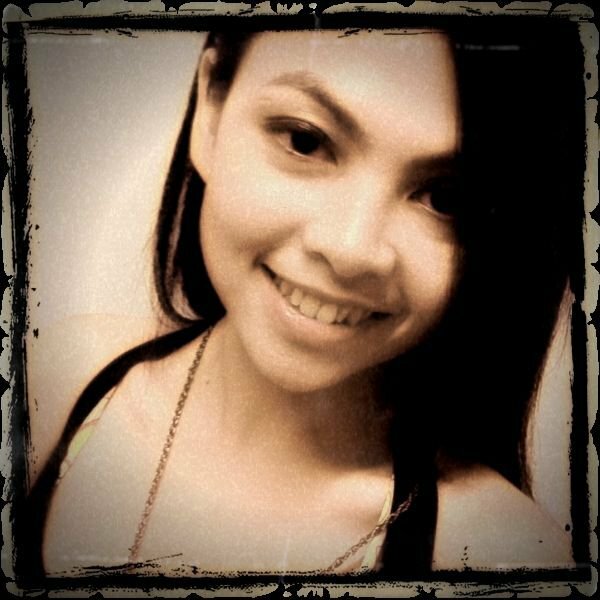 @Waileng: Yes, indeed. Too bad you're not here. You conducted this class! All your bakes are very impressive and I can see lots of happy baking students :D Well done! 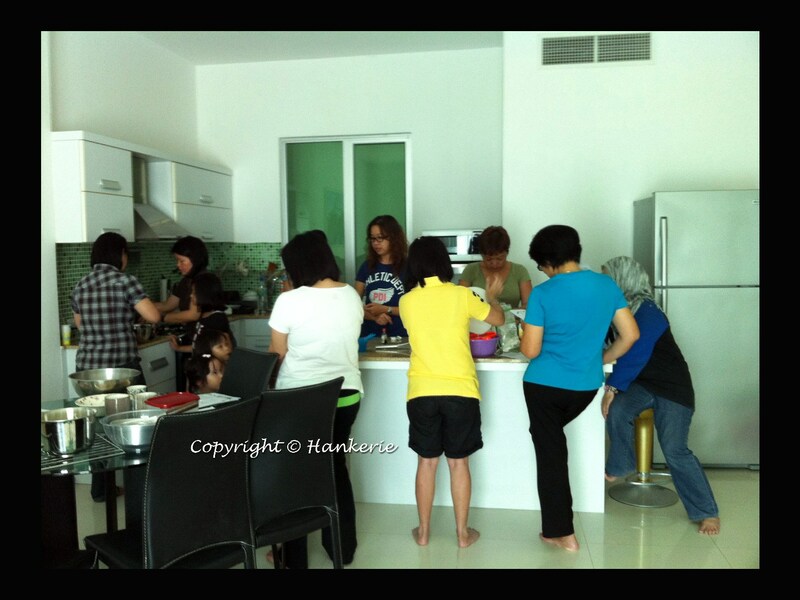 Hi Hankerie, I remember an old saying...too many cooks in the kitchen....ha ha, I think you know. Wow! You must have a black belt in cooking to have this class. Can men come too? Just look look....taste....ha ha. Have fun Hankerie, and keep a song in your heart. @ Zoe: Yes, I conducted this class. Thanks for the compliment. @ Uncle Lee: Haha..understand what you're trying to say, but I can say that saying maybe applicable for cooking but not for baking. Actually there is 1 guy would like to join, but when he knows the rest are ladies, he pulled out himself. Sure you can just come. from the picture, look like everyone having fun in your class. @ Sonia: Hihi...Sonia, long time never see your comment. Thanks thanks. Indeed they are. May i suggest that you give certs for the participants as an acknowledgement "Certified by Hankerie". Most importantly, it will also served as a memento for mark this great moment!!! Cheers. @ BB: Yeah, I will have that cert for my next Hankerie class.